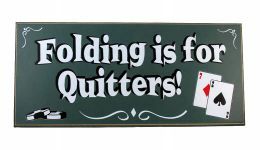 Casino Game Supplies offers Poker Signs at wholesale prices. These hand-crafted wooden signs are made in the USA. 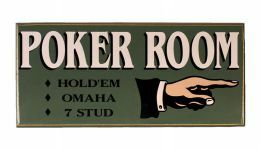 They make a perfect addition to your gameroom, or an ideal gift for the poker enthusiast in your life.